Mercy is an Overwatch staple – one of the easiest healers to understand in the game, but one with enough depth to make her a real pain to the enemy team. Her ultimate ability makes her priceless in some situations, allowing Mercy to resurrect her entire team in a fight gone wrong so that she can immediately turn the tables on the opposition. It made for some incredible clutch plays, but it also made Mercy players very defensive when they had it, causing them to hide away instead of actively healing their team. Blizzard are not fans of this style of play and as a result, Mercy is getting an overhaul, which is replacing her ultimate ability entirely. Instead of being able to resurrect every team member who is down, Mercy will only be able to bring back one team member at a time with her new secondary ability. That doesn’t mean you’ll be able to fire it off more frequently however. 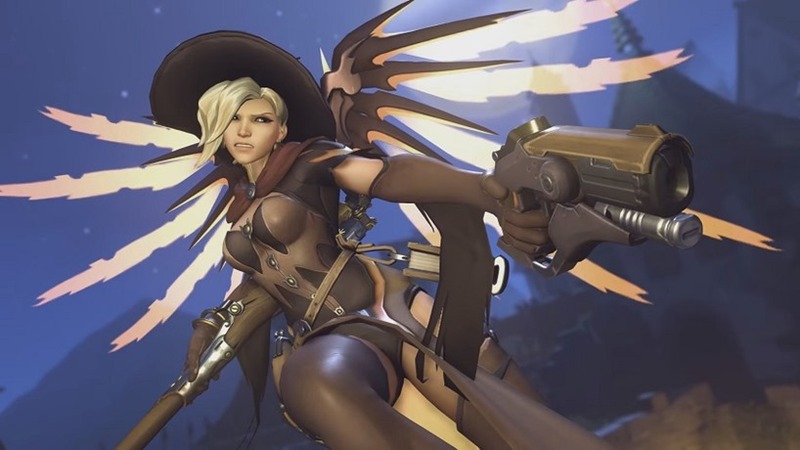 The update notes that Resurrect will feature a long 30-second cooldown, which is directly designed to hamper Mercy’s ability to revive an entire team in a pinch. Mercy’s new ultimate alleviates that quite a bit. Called Valkyrie, her new ultimate acts as an augmentation to all her other abilities and then some. For 20 seconds, Mercy will be able to fly further to the aid of teammates with her Guardian Angel ability, giving her much more workable range in large spaces. The cooldown on Resurrect will also decrease to 10 seconds and since activating Valkyire resets the Resurrect cooldown, you could get up to four Resurrects in 21 seconds. The strength of her pistol will also increase, while getting infinite ammo, to give her more damage. Most cool of all now, while Valkyrie is active Mercy will be able to fly! Not just hover or swooping from place to place, but actually fly with complete freedom of movement. For many players it will not be the instant game-changing ability that Resurrect was, but I’m certain it will be put to good use to make Mercy feel like a more active participant in fights and be a lot of fun to play. That said, it’s a big shift for one of the original Overwatch characters, and one that will take some time to get used to. The update has gone live in the PTR this morning A(good luck getting in though) where it will be tested before reaching public servers in the near future.